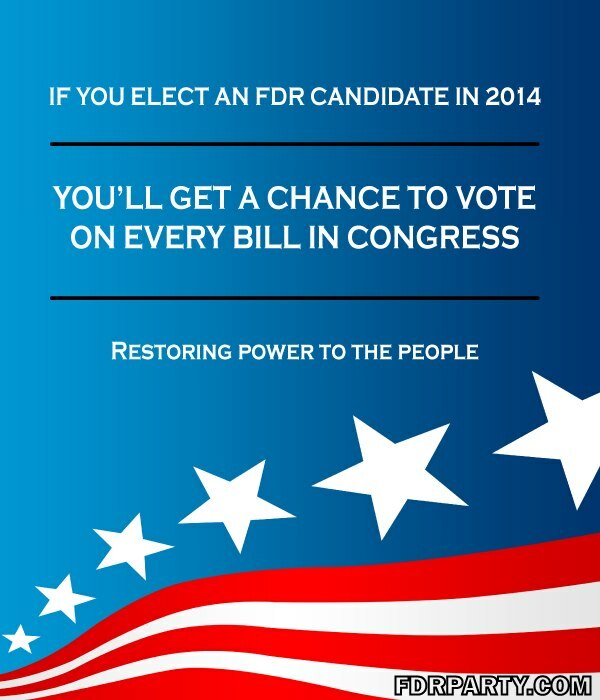 Elect an FDR candidate and you’ll be able to vote on every bill in Congress. 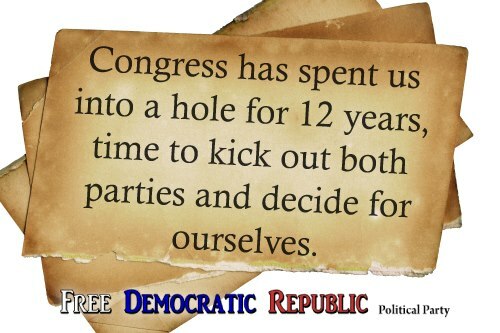 Instead of debating over the two parties, debate of the real issues and vote. Politicians rarely listen to us anyways. An FDR candidate has the easiest job in the world, they’re just ceremonial. 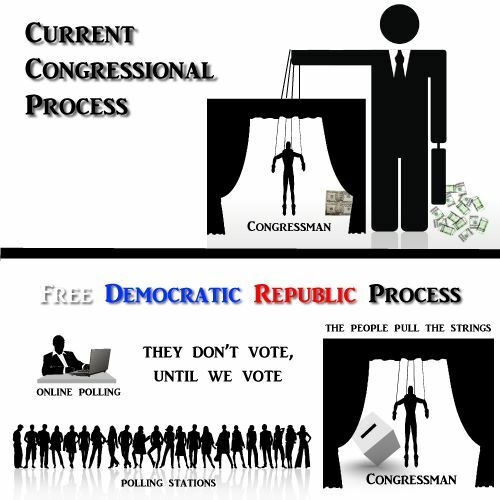 Kinda like how politicians are ceremonial lobbyists today, but our candidates only listen to you… the voter. 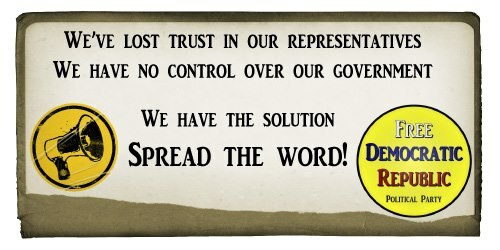 Our candidates only job is to vote according to their local polls… they vote how you vote on every issue. 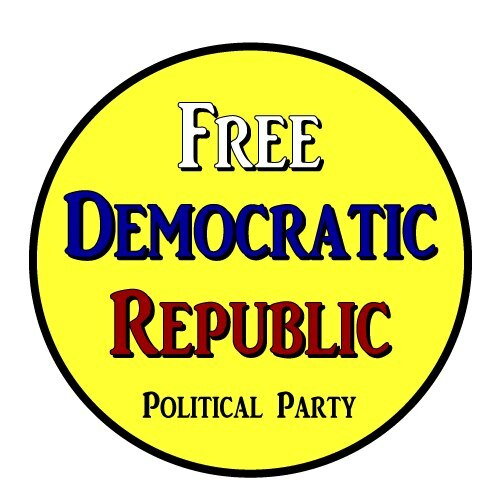 The Free Democratic Republic Party is dedicated to giving the control of Congress back to the people. Our U.S. Constitution wasn’t designed for our current population. 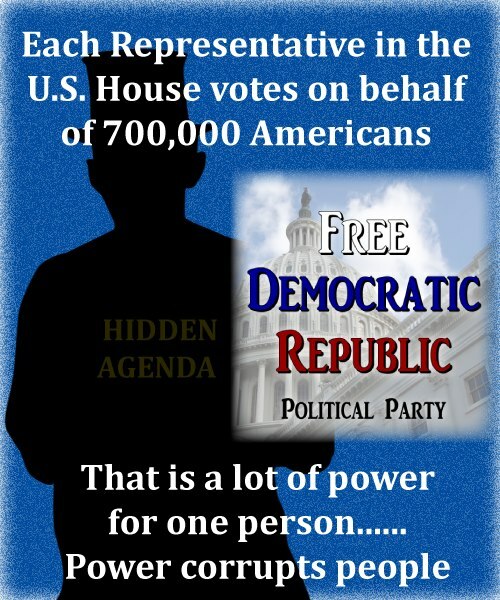 I’m offering a way to honor our Constitution, by only replacing the broken republic. 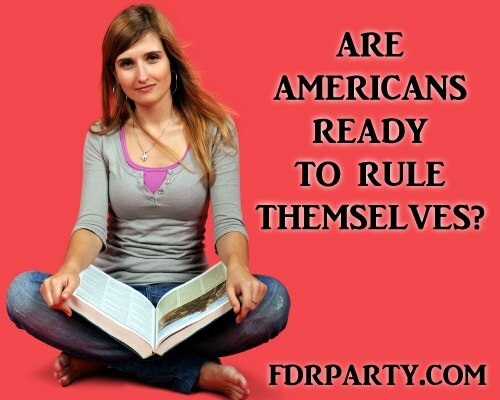 The FDR Party is offering direct democratic representation for the first time. There are many ways people of a certain region can chose to poll themselves, we can help get your area set up. The cost to poll will be a fraction of a tax percentage and will take some co-operation with local governments. We are currently searching for engineers to design “redbox” style polling stations, as one option to poll. We are also in search of a social media political website used to promote and discuss policy that can be brought before Congress. it would also be used for primary elections. Our primary race will be run like a popularity contest, favoring honest hard working people and celebrities. Progress of the party has been postponed until I, the Chairman, have returned to full health. I will continue to try to find volunteers and support. 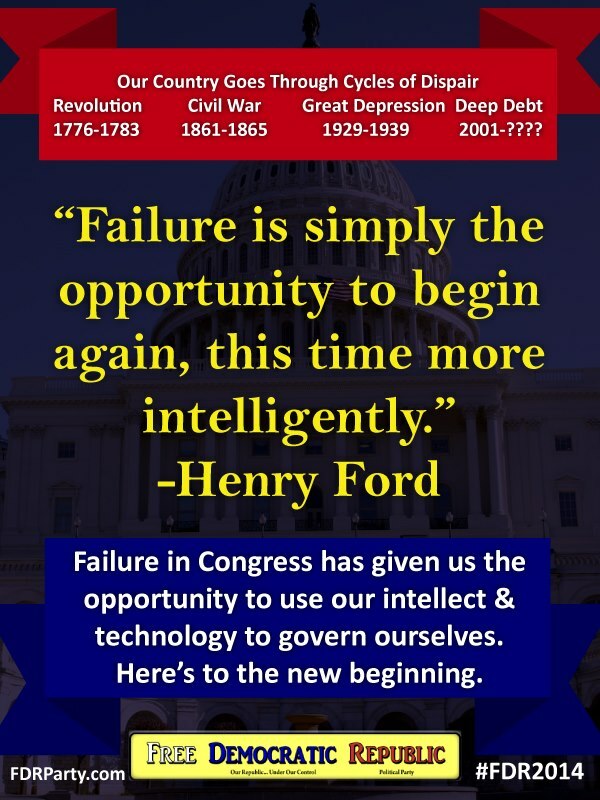 We may still make a late run for the 2014 election. I would welcome a new chairman or spokesman, if I found a good applicant. The official website is temporarily down.